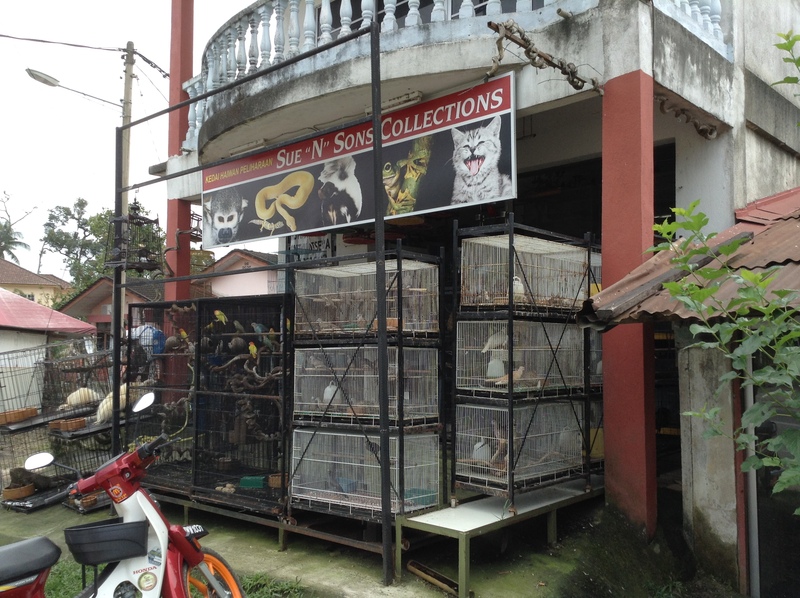 While looking for the hot springs at Sungai Serai (see previous post), I came across a pet shop with exotic creatures on display. 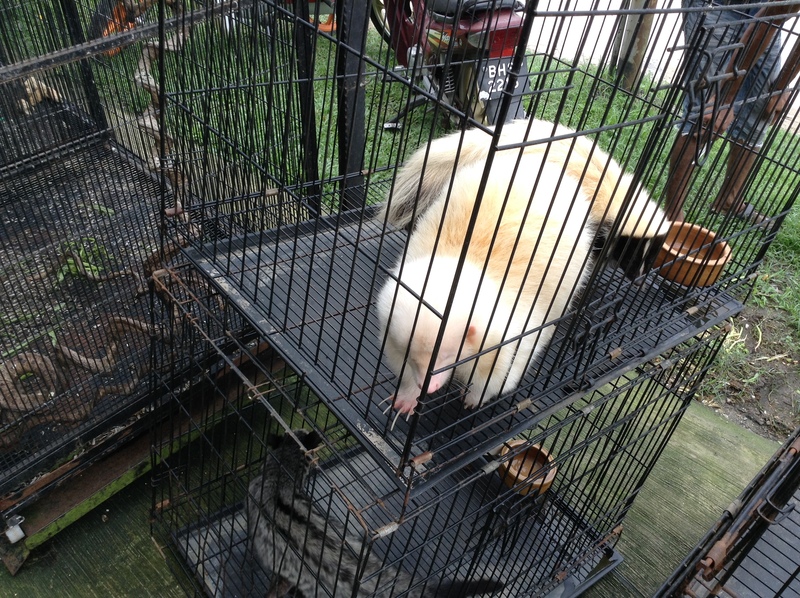 A couple of white furry things in cages caught my eye. The shop assistant told me these were albino skunks, though one looked obviously more albino than the other. They were not smelly. In the cage underneath, looking very restless, was another exotic critter which I think might have been some kind of civet, known locally as the musang pandan. 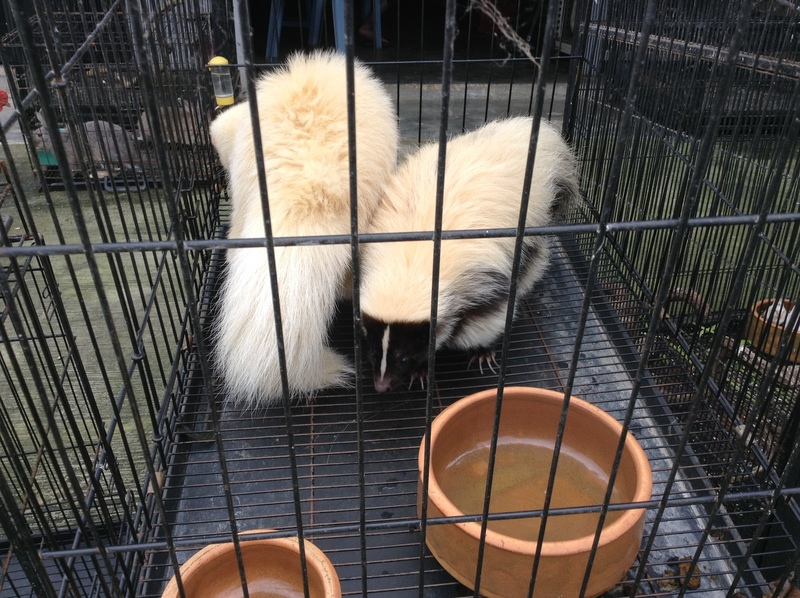 Apparently, skunks and civets can make good pets but they need very careful attention and handling from caring and knowledgeable owners. 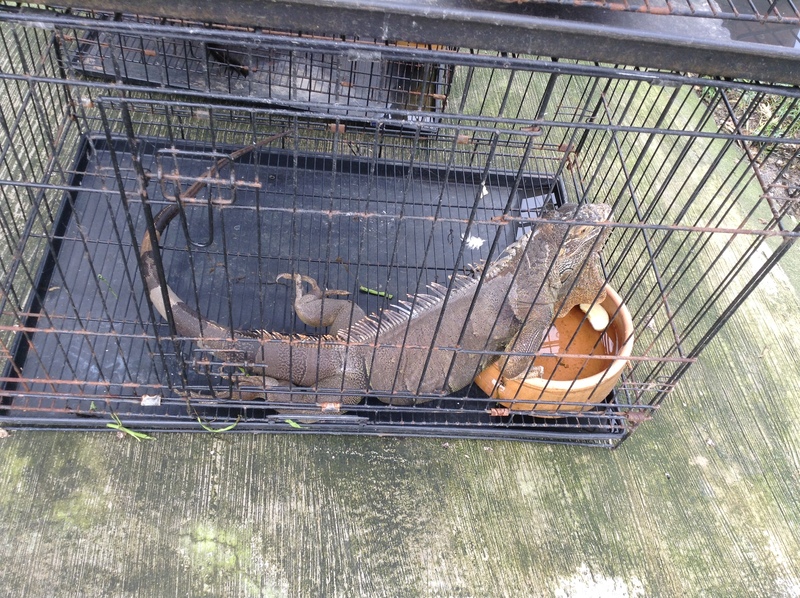 This large iguana looked cramped in its cage which would have been better suited for something the size of a guinea pig. 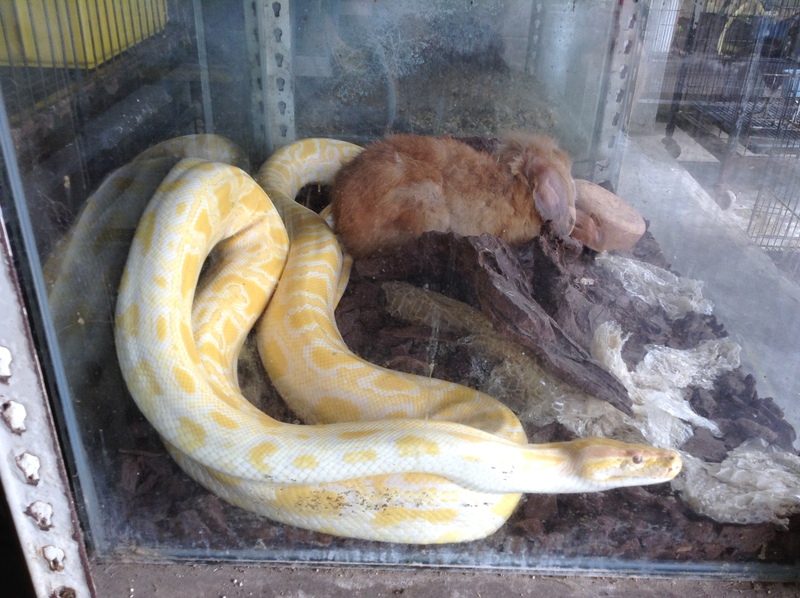 This Burmese Python was sharing a cage with its lunch, a live rabbit. Should people keep exotic pets in this day and age? The animals would surely be better off in the wild but there is less and less ‘wild’ left these days. And as for Burmese Pythons and other serpents, I prefer to view them behind glass rather than stumbling across one while out hiking.